Can Controversial Content Marketing Boost Search Rankings? Can Controversial Content Marketing Increase Search Engine Rankings? Posted on 3rd April 2012 at 09:14. 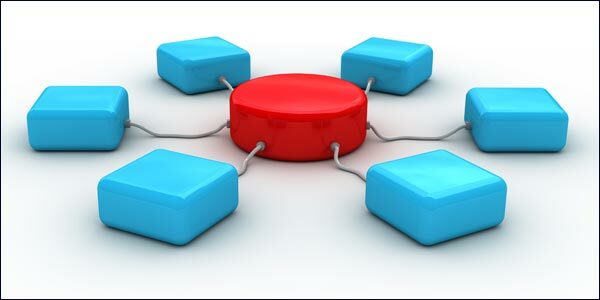 If a business is interested in increasing its online visibility, it will appreciate that the best way to get noticed is to gather as many quality inbound links as it can muster. Links are the life blood of the optimisation process. They are essentially flags that point search engines in a business’ direction, and tell users that this site has great credentials and can therefore be trusted. However, some businesses appear not to mind how they get these links. Purchasing links was once a common practice, but Google and the other search engines have got wise to this practice and are trying to crack down. Obviously they’ll never eradicate the practice completely, but it’s probably best avoided. So what options are left then? What other practices can businesses use to build these vital links? Well, they can opt for PPC advertising campaigns where certain key terms can be associated with a website through a legitimate paid model, or they can rely on quality content to build organic growth and increase search engine rankings. PPC campaigns can be effective, but they can also be costly. Content marketing, on the other hand, costs nothing, other than time and effort. Businesses need to attract readers and a loyal following by providing quality content: good content keeps users coming back for more and builds long term SEO success. However, some bloggers will stop at nothing to attract attention and garner extra links. They’ll even try to be deliberately controversial and provocative if they think it will build these links. But do contentious headlines and provocative articles actually bring rewards? Can controversial content marketing increase search engine ranking? Without wishing to sit on the fence, the short answer is yes and no. Sometimes contentious headlines and provocative articles can attract readers. The only problem any blogger faces is being able to back up any bold or brazen statements they may make, and argue their case logically and rationally. By and large controversy is best avoided. What businesses should concentrate on is to avoid controversy where possible and provide quality content if they want to build success. How they go about creating this content is up to them; what’s important is that they stick to what they know best, and make sure they share this knowledge regularly with their audience. However, whilst courting controversy can backfire and damage a business, there’s absolutely no reason why businesses shouldn’t be prepared to take risks and express opinions. It doesn’t actually matter that much if the opinions expressed are a little left field or unorthodox. Obviously being deliberately obtuse or objectionable simply for the sake of it won’t help you cause at all. What matters is that whatever opinions the business chooses to express can be justified and backed up with concrete evidence. Opinions spark debate and comment. They can help businesses engage with their audience, and can certainly help to build rankings. Customising Content For Better Ranking.The Use Of Longtail And Local Key-Phrases Can Maximise The Appeal Of Local Businesses.